Cates Tug, a staple of the Vancouver shoreline, has a long history of ship handling this Northern Canadian port. 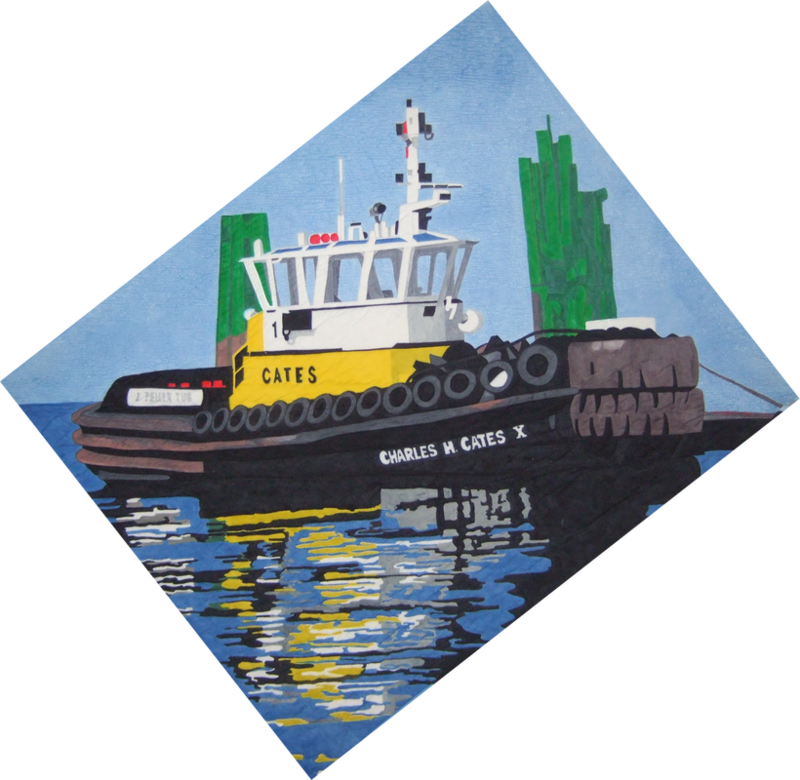 Thank you for your interest in buying the art quilt "Cates Tug." As soon as I receive this request, I will contact you to confirm order details and total amount of purchase.